The Ringling Brothers Barnum and Bailey Circus will bring down its metaphorical Big Top for the final time in May. Its business model simply does not work any more, as an executive of the arena entertainment company that owns it said recently—especially since the circus capitulated to animal rights activists and fired its performing elephants. (Ticket sales dropped by almost a third.) This was an iconic cultural institution vanishing, so I had to say farewell, and did so last weekend, when the circus came to Washington, D.C. for the final time. 1. It is still an entertaining show, even though the Ringling brothers would never have recognized it as a circus. Several of the acts were worth the ticket price (in our cases, about 75 bucks) all by themselves. 2. The Verizon Center was about a third filled for the final show of the legendary Ringling Brothers Barnum and Bailey Circus. The Center itself was sparsely staffed; it took 20 minutes in line to buy popcorn. Americans, as a group, don’t care about history, culture and significant changes in it landscape any more. 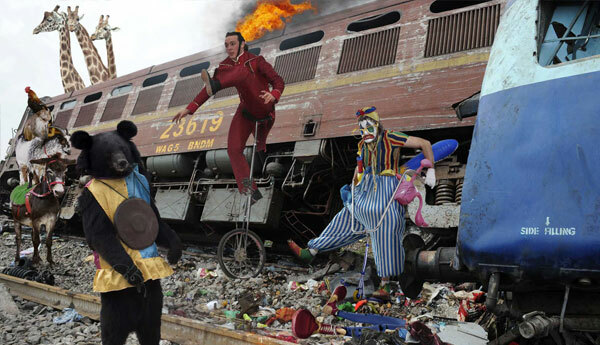 The circus and its components gave us imagery, lore, metaphors—“walking a tight rope,” “three ring circus,” (this one is now a two-and-a half ring circus at best), “ringmaster,” “dog and pony show,” “the big tent,” “side-shows,” “clown act,” —and “The Man on the Flying Trapeze.” The nation is a little poorer and less colorful without it. 3. The public also increasingly sees little value in the mass audience experience. Live entertainment, especially family friendly varieties, were traditionally seen as an important and natural way to strengthen community ties, by bonding disparate members of society through a shared experience involving witnessing something transforming and memorable. 4. Assisting in the death of this experience is the trend of making sure all arena and stadium events are filled with loud, never-ending, pounding electronic music that would make Phil Specter grab ear plugs. Once, the circus’s dramatic music consisted of drum rolls, bands and soft calliopes. If you watch the Cecil B. DeMille movie “The Greatest Show On Earth,” you will see spectators talking to each other during the acts, or shouting out to performers. Either is virtually impossible now. Conversation consists of screaming a few words repeatedly until your companion nods. This continues the cultural trend of making meaningful interaction with fellow human beings passe. How can this possibly be a healthy development for society? I did see a lot of people texting….maybe to those sitting next to them. 5. Almost no venders were walking among the seated. A single snow cone from one of these cost $12.00. A dorm was evacuated at Merrimack College in North Andover, Massachusetts, after the “Clown Watch” Twitter feed reported a sighting of a scary clown with a rifle. It was a hoax. In Portland, Oregon, police arrested David Dahlman, 55, for wearing a clown mask and boxing gloves and threatening middle schoolers. This clown charged an assistant principal who intervened. A 13-year-old girl was arrested in Hampton, Virginia., for trying to get a person posing as a clown online to kill one of her teachers. A 14-year-old boy in Houston was charged with making terrorist threats toward his school using an online clown image. Also this week, several hundred University of Connecticut students gathered in a cemetery near midnight, ready to do battle with the evil clowns they had heard were hiding among the headstones. Police had to respond, and were not amused. Police in Lancaster, California warned that men wearing “ugly-looking clown masks” were using kitchen knives to frighten people and then videotaping their reactions. Fear of clowns has been a cultural joke for decades. “Seinfeld” had whole storylines based on Kramer’s coulrophobia.Why is this happening now? I have no idea, and neither does anyone else, though CNN came up with five equally unsatisfying theories. Why? Why do birds suddenly appear every time you are near? Why do fools fall in love? Why isn’t Hillary ahead by 50 points? I had hoped that I wouldn’t have to write about this. 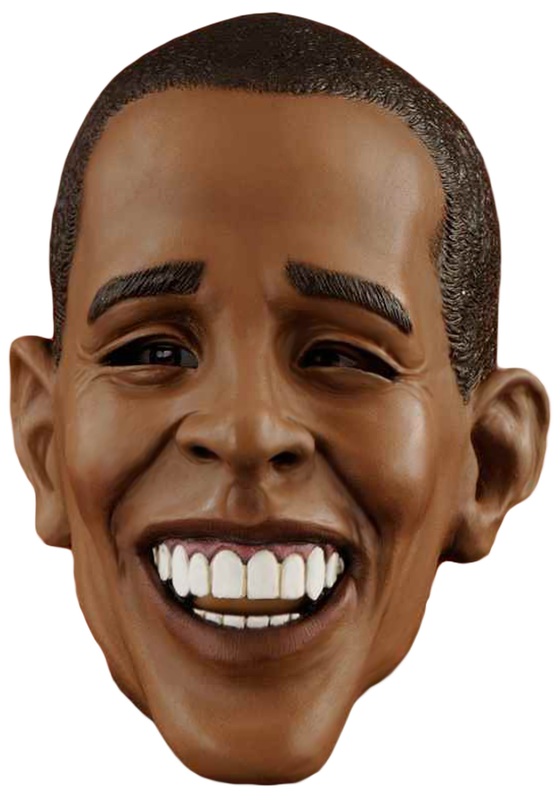 Unfortunately, the saga of the Obama-mocking rodeo clown has, against my fervent hopes, turned into a full-fledged ethics train wreck. The diagnosis was complete once the Missouri chapter of the NAACP decided to disgrace itself, its parent organization’s mission and its supposed dedication to civil rights by calling for a Secret Service investigation into the incident, which Ken White posted on definitively here. For those readers who are not familiar with Popehat’s Ken White, I offer this recent example of his deft ethics analysis and his perceptive and balanced commentary. I was going to write something that would have reached similar conclusions, but there is no point now. I can’t do better than this, and when I can do as well, it’s a good day. 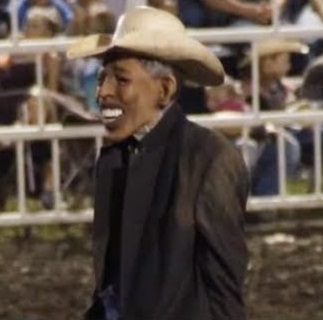 Here is Ken’s commentary on the rodeo clown in the Obama mask.